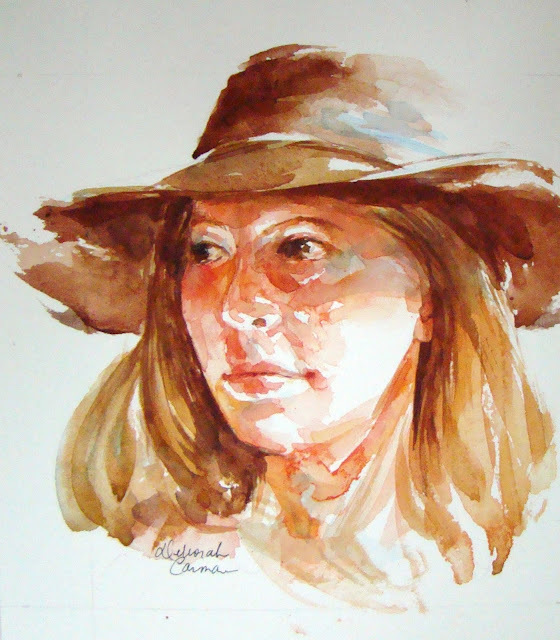 For this watercolor portraiture I used a reference photo that I had on hand and used it to place features, coloring and shadows. Once I laid in the basics I continued to make this lovely dark complexioned little girl my own by adding creative detail in her hair, ribbon and clothing and then I named her Cassandra. 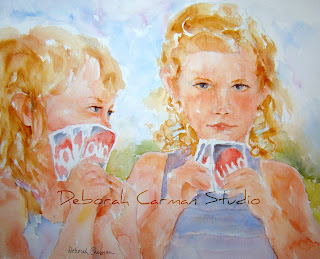 This 5 x 7 original will be for sale soon in my Etsy Shop at: www.deborahcarmanstudio.etsy.com. It's been a while since I've worked on a still life painting. And I truly enjoyed working on this one for many reasons. The beautiful multi-colored hand blown glass vase was the perfect subject. I loved it the moment I saw it. The second reason I enjoyed this piece is because it didn't take forever to paint. I'm one of those artists who likes to begin a painting and finish that painting in a day. Okay, maybe not a day but at least not a month. This one took a couple of days. I find that I need to look at a completed (for the most part) painting for a while, see it through "rested" eyes and then make the final touches. It doesn't always work that way. There are some past paintings that when I pull them back out to work out the "bugs" (very appropriately named because they literally bug me to death), they refuse to be finished and back on the shelf they go. Perhaps they instinctively know that I'm not quite ready to do the job yet. For whatever reason, they seem happy enough to wait until I am. "Vase of Many Colors" was painted with a medium round brush using quality tube watercolor paint and "Arches" Rough 140 lb watercolor paper. "Tattoo Art" ... after all this is an "Art" Blog! 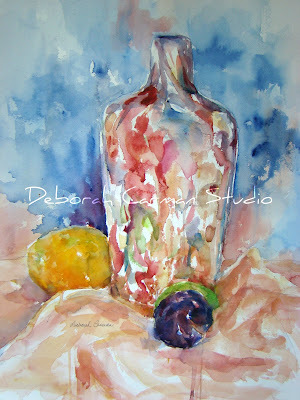 Pouring Watercolor - Yes, pouring, not painting. This is an exciting technique that I just recently learned. And yes, it was another one of those workshop sessions that drove me straight to hyperville. Did I mention that I have a hard time giving up control? Pouring watercolor is exactly that. 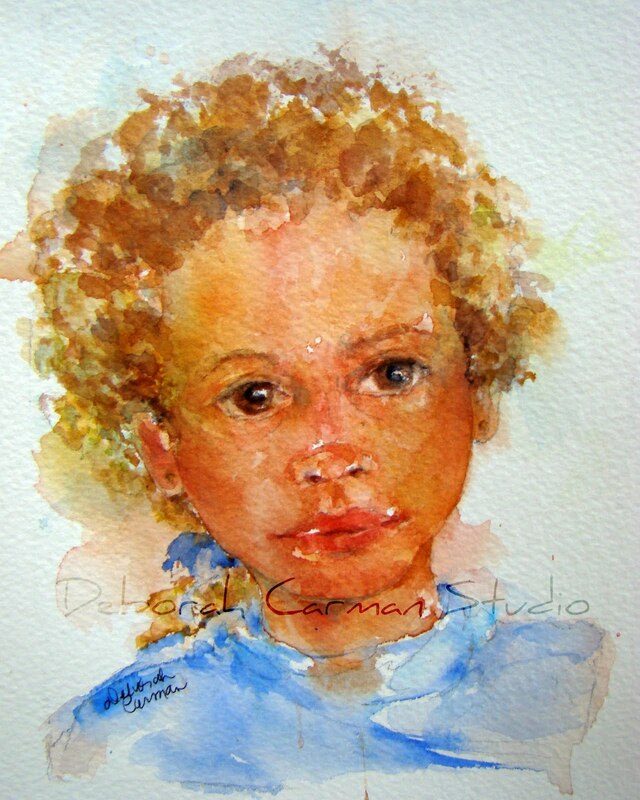 In my case, three primary colors of Watercolor paint mixed with water in 3 separate containers is what I poured onto a half-sheet of Arches 140 lb watercolor paper. I first drew my subject onto the paper being very careful not to use any erasing. (It affects the way the paint absorbs.) Then I stretched and stapled, and using artist tape, I taped it onto a gatorboard (thick foam core board). Taping is important because you want to prevent any paint from seeping under your paper. Where are my lights and darks? What two or more colors make what color when they mingle? When and to what should I apply mask? That's the liquid rubber frisket that prevents an area from receiving color. What color shoes will I end up with when I miss the tray and pour paint onto the floor? I must say that after all was said and done I really like the results. A brush could not have achieved what the pours could. I was fortunate. After my final pour and mask removal I did not have to do anything else. That's not always the case. 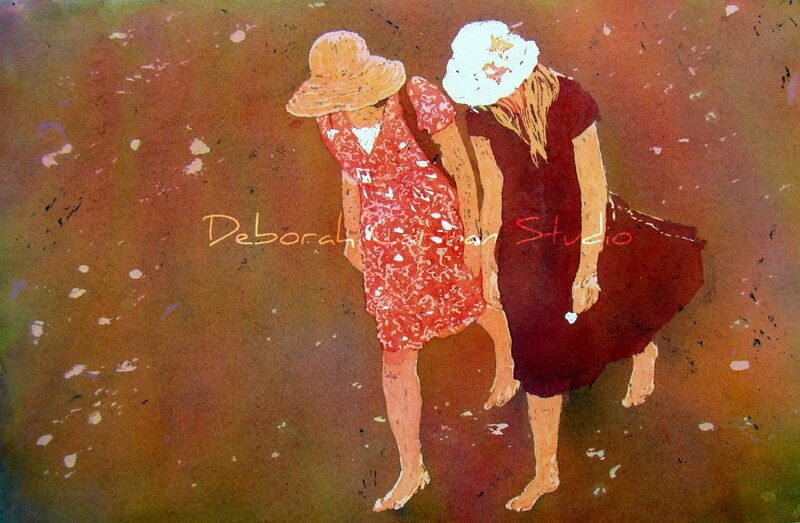 My poured watercolor, "A Walk On The Beach" was completely done and is ready to be framed! 1) Mix your paint and water really well. I found a whisk to be very helpful with this. When you think you've got it all mixed and ready to go, mix some more! 2) Masking fluid has an expiration date. Always test it on scrap paper before you apply it. Pour out what you'll use into a little cup and cap the bottle and turn it upside down for storage. 3) If this is your first pour, give yourself a break and be willing to experiment. Learn what the paint will do. And most of all, have fun! As I get back to posting, I realize I haven't filled you in on my workshop session on underpainting. After my first step of wet in wet painting and using plastic wrap to make a really cool design for the background, I then used an overhead projector to pencil a close-up drawing of daffodils in a vase over top. This was not as easy as it sounds because it is very difficult to see where and what you're drawing! The creative part of this, though, is that you can pick and choose where you want to draw your flowers (or whatever subject). You're not limited to drawing the whole picture just as it is. Once I completed that task, I began painting the flowers, beginning with the negative shapes (the background darks). 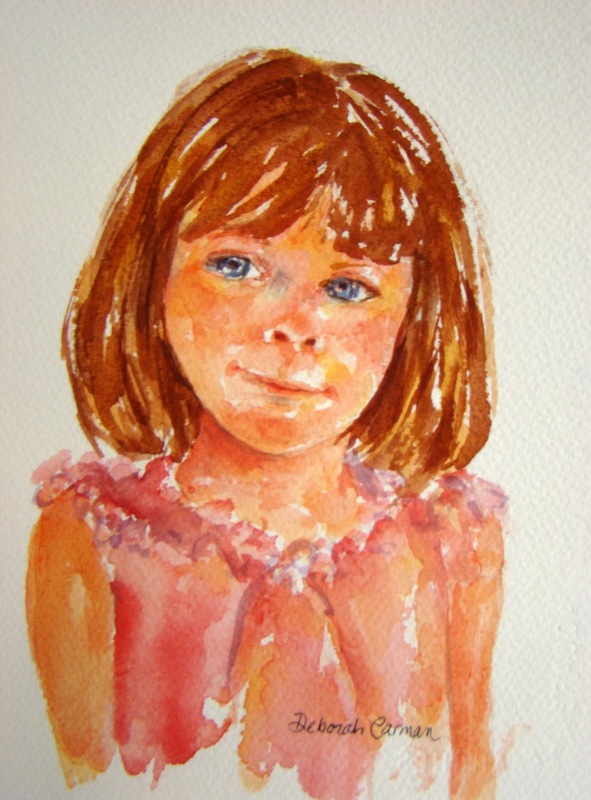 A good way to do this is to think back to front and paint what is furthest away and move gradually forward, leaving your detail work until last. Easier said than done but well worth the effort! Here is my finished piece. I'm calling it, "Daffodil Drama," not because it's a dramatic piece, but because I went through such drama to finish it! As a kid in the 60's, I was fascinated with watching my parents and their friends play "Pinochle" on game night. 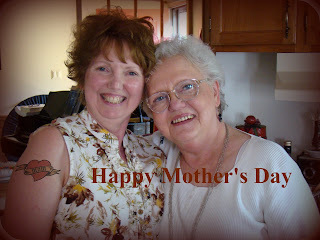 My mom taught me "Solitaire" and a comedic cousin taught me "52 Pickup," a game I've since shared with my grandchildren! Sitting in on a game of "Hearts" as a teenager was the beginning of a dating relationship that I will simply describe as a "mistake from day one." I learned a fun and friendly game of "Poker" from my father-in-law, and a lively game of "Canasta" from my mother-in-law. We taught our children "Uno" when they were old enough to enjoy it and they, in turn, taught us "Hand & Foot" when they were grown. 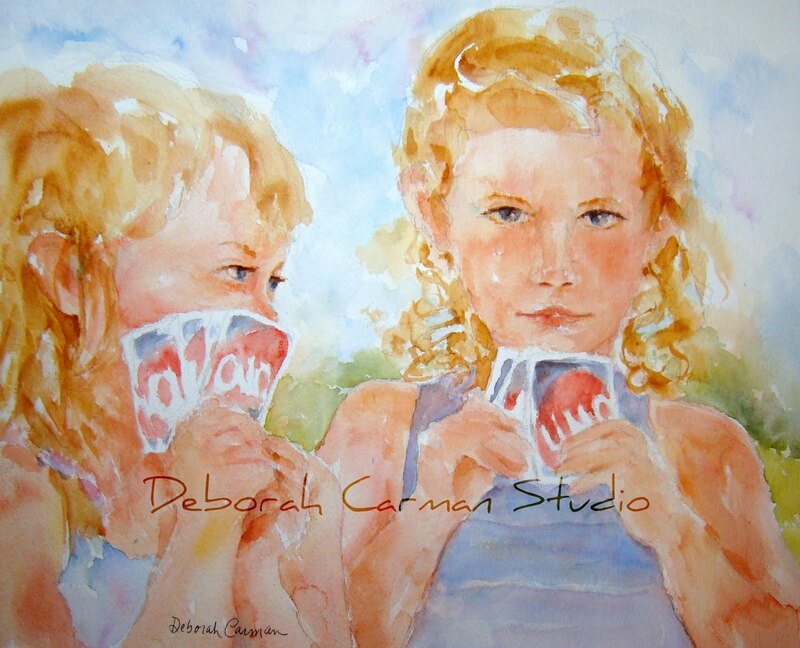 So, in keeping with tradition, here is a watercolor of my poker-faced granddaughter and her sweet cousin playing a friendly game of "Uno." I guess you could call me a "round robin" kind of artist. I call myself that because I find that I cannot spend all my time, day in and day out on one type of project. Instead, I find wonderful satisfaction in spending a week, two weeks, maybe a month working on watercolor painting. And then after a time, something switches over in my brain and tells me that I need to work on some crafty art project. That's what happened last December when I was creating doll furniture as a Christmas present for one of my granddaughters. Something took off in my brain and I began this whirlwind of doll furniture making! I was having so much fun, before you know it, I was opening a shop on Etsy to see if anyone else liked it as much as my granddaughters. Six rooms of doll furniture later, here I am. 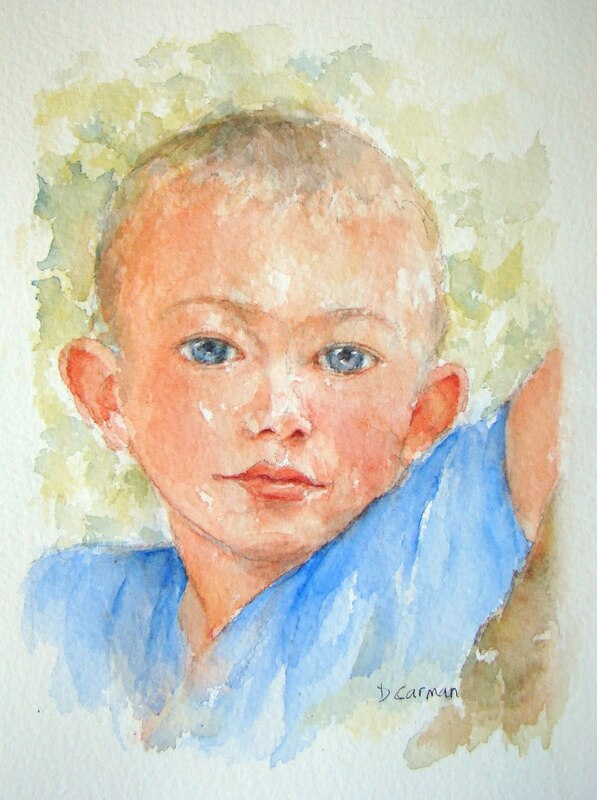 And like so many times before, I'm starting to get that feeling and the messages in my head are telling me, "...too much time away - it's time for some more watercolor..."
So, all I can say is, "Watercolors, here I come again..."
Even though my husband and I are emptynesters and the house is child-free most days, I can still get wrapped up in noise, chores and activities that rob me of my "think tank" time. I have found that simply turning off the television and radio is very helpful. Music may be soothing for some but for me, silence is golden. My artistic dilemmas are often solved when I take the time to think them through. As much as I want to rush and quickly achieve results, it doesn't seem to work that way. So, as I sit still and think a minute I can take a breath, direct my focus and in time, accomplish the task at hand - my newest masterpiece.